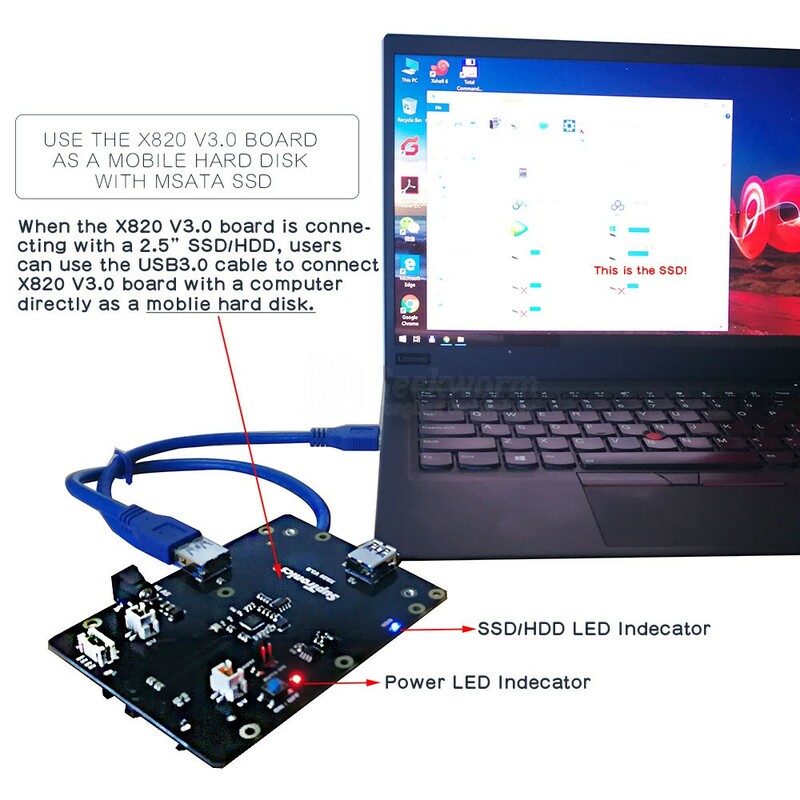 The X820 V3.0 Version SATA HDD/SSD storage expansion board provides an complete storage solution for your Raspberry Pi.It only support 2.5 inch SATA interface HDD/SSD hard disk.It supports up to 4TB 2.5 inch SATA hard disk drives (HDD)/solid-state drive (SSD). Note: when using our case, the Max. 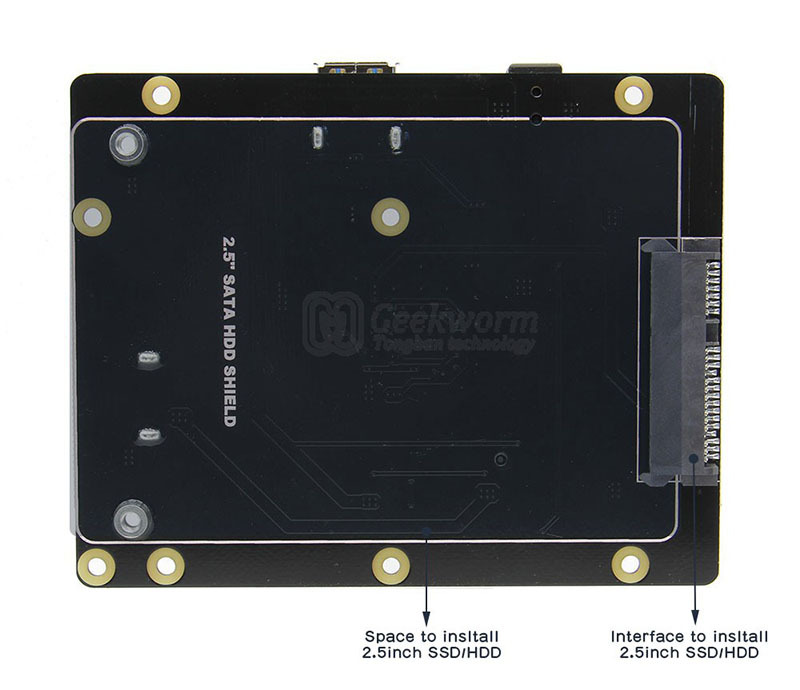 compatible thickness of the 2.5" SATA SSD/HDD is 10.4mm/0.41inch. Important Note: Please use high quality DC 5V 4A power supply, the best choice is to buy the DC 5V 4A power supply that Geekworm provided. If you get low quality power supply to use, it may probaly will damage your 2.5 inch HDD/SSD. The Raspberry Pi and the 2.5" SATA are both not included in all the packing list. 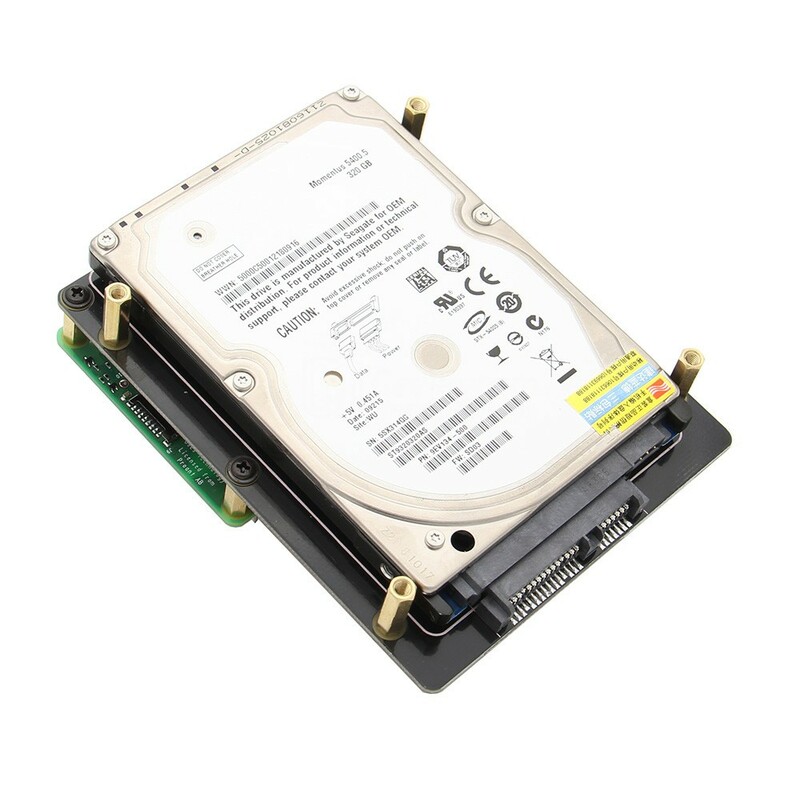 For 3.5 inch HDD hard disk drive X830 expansion board, please refer to X830 3.5" HDD Expansion Board. 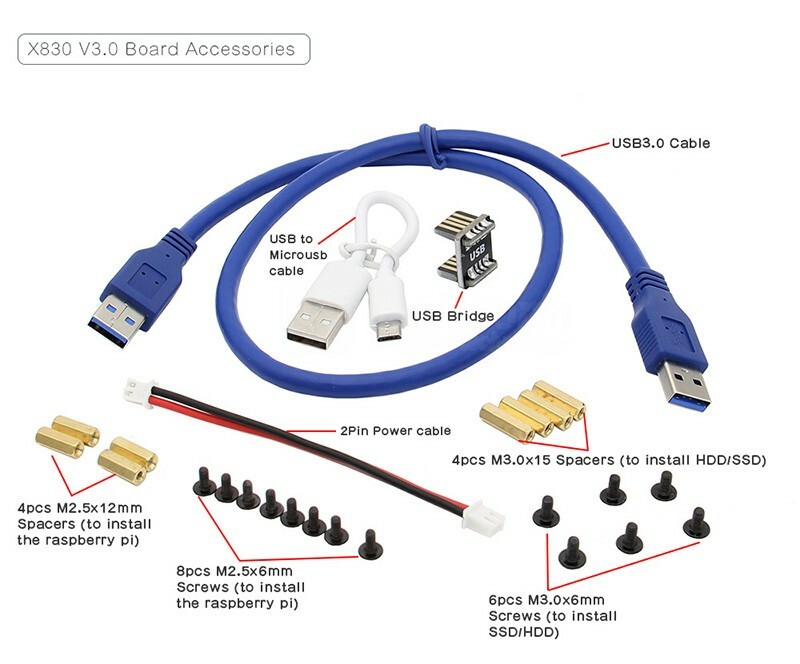 Supports USB booting from your HDD/SSD('reboot' command is supported), a great function to every raspberry pi user. 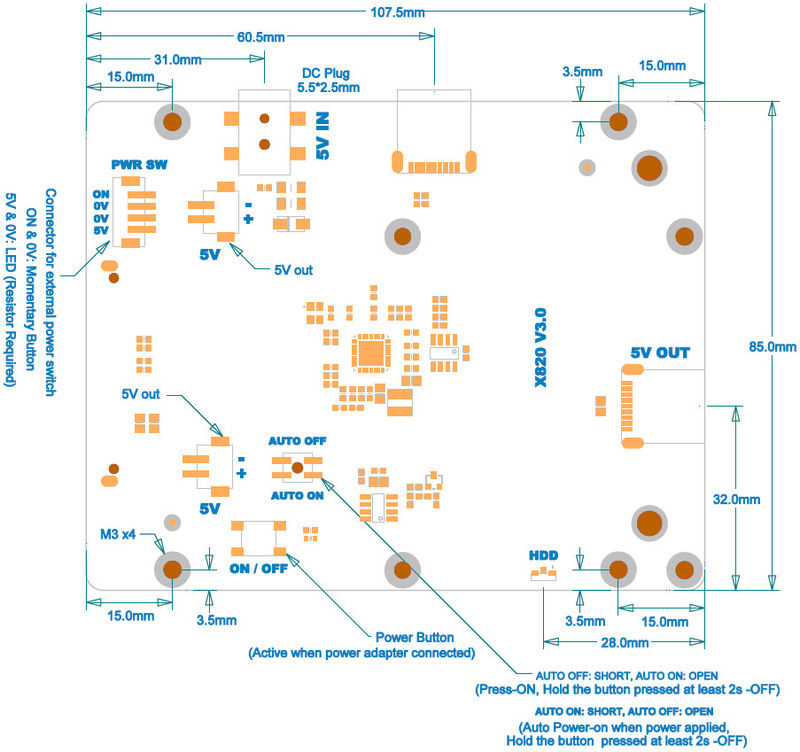 ​Please use a good quality power supply for your X820 V3.0 board. 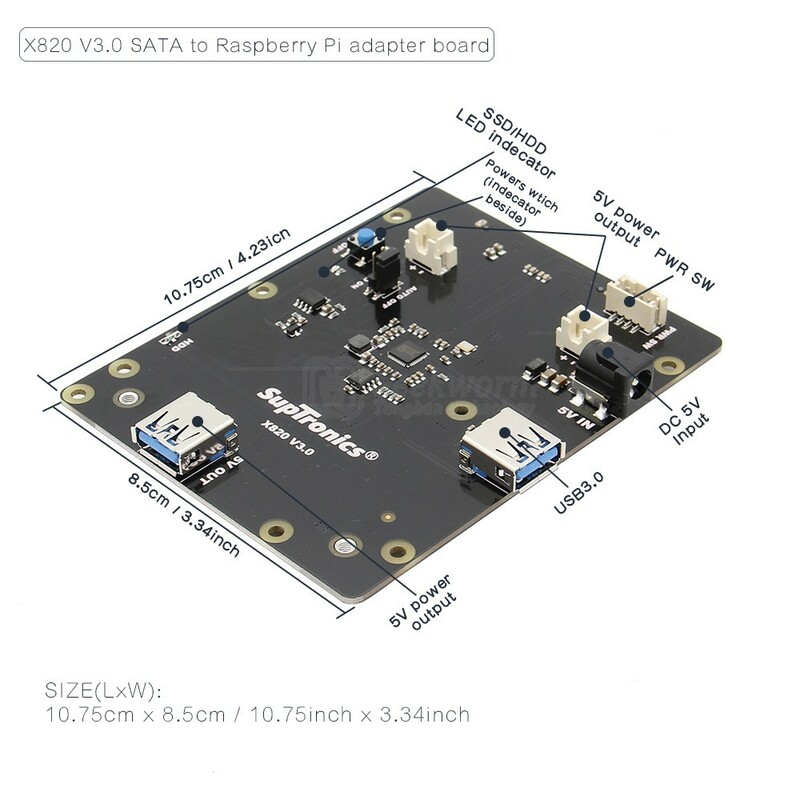 The power adapter powers not only power the Raspberry Pi , but also the SSD/HDD and X820 board. If the power is not enough, the SSD/HDD may not be identified. 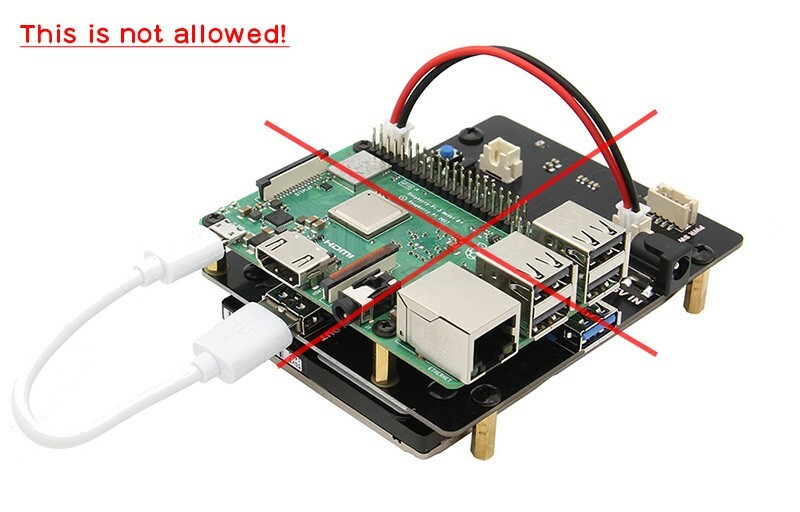 DO NOT APPLY POWER TO YOUR RASPBERRY PI VIA THE PI's USB PORT AND THE 5V OUT POWER PORT AT THE SAME TIME! 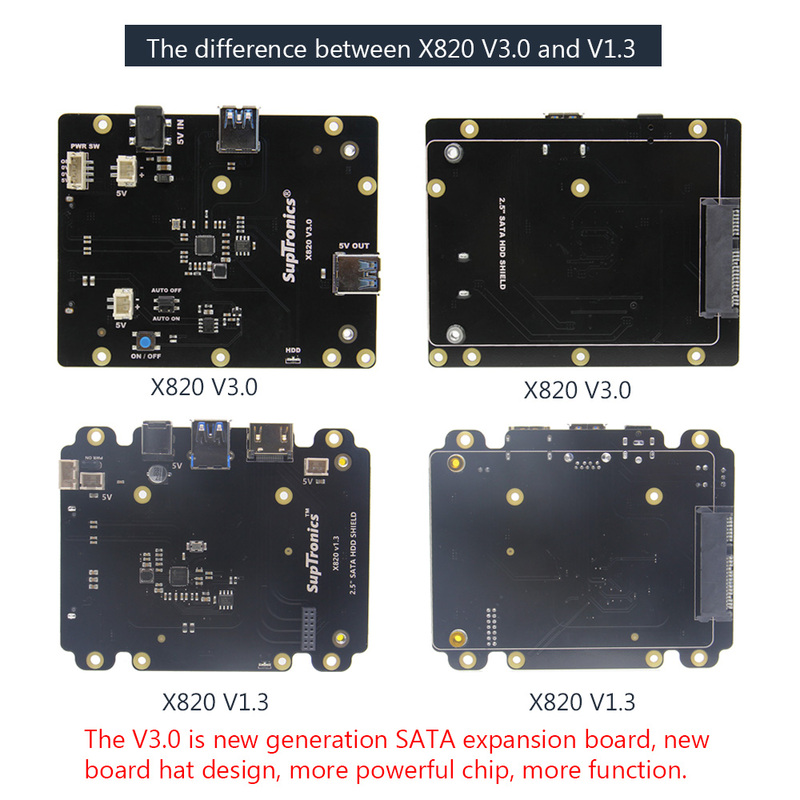 Please note there are 4 variants() for this X820 V3.0 board, we will send as per what you ordered.